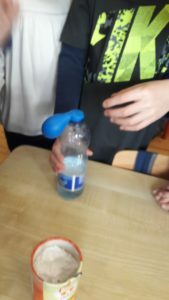 How to Inflate a Balloon Using Baking Soda and Vinegar! 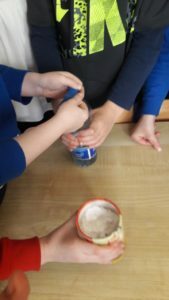 Students learnt about gas and chemical reactions by discovering how to inflate a balloon using baking soda and vinegar. 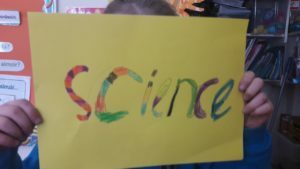 The goal of the project is to demonstrate the power of gas when of baking soda and vinegar are mixed. The goal is for the balloon to be blown up by the gas created. 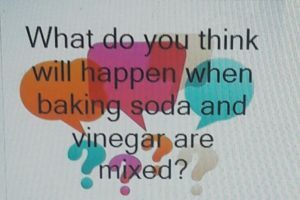 What do you think will happen when baking soda and vinegar come in contact (what will be produced)? 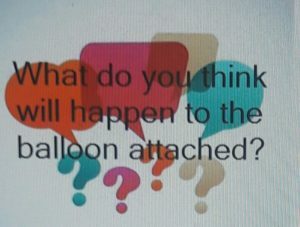 What do you think will happen to the balloon attached? 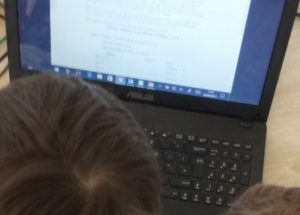 Why does the balloon stop blowing up (why does the reaction stop)? 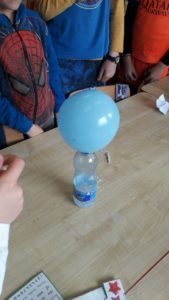 Using the funnel, add the baking soda to each balloon (two people may be needed for this; one person to hold the balloon open and the other person to put the baking soda inside of the balloon). Pour the vinegar into the bottle. Carefully fit the balloon over the bottle opening (be careful not to drop the baking soda into the vinegar yet). Once the balloon is fitted snugly on the nozzle, hold up the balloon and allow the baking soda to fall into the vinegar. 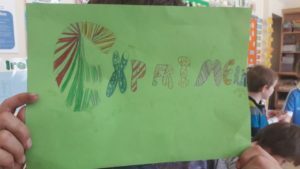 Observe the chemical reaction and effect on the balloon. 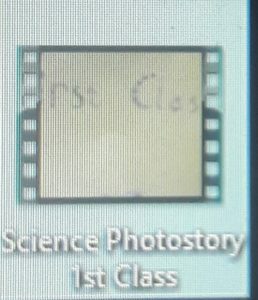 (First Class created a short photostory but due to security restrictions we cannot place on blog). 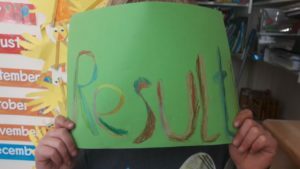 Next story Happy Easter and farewell to our German intern Kristin! Happy Easter and farewell to our German intern Kristin! 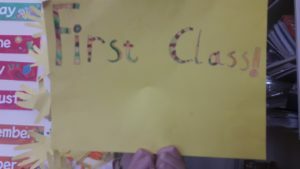 Ms Angela Clinch – First Class 2016-2017 © 2019. All Rights Reserved.